THE Federal Government through the Rural Electrification Agency, has entered into a partnership with the Rocky Mountain Institute, RMI, to bring down the cost of mini-grid-delivered electricity across the country by over 60 per cent. The Rural Electrification Agency, REA, was set up by the Federal Government of Nigeria with the primary objective of increasing electricity access to rural and underserved communities. To achieve this objective, the Agency had developed an off-grid electrification strategy to support mini grids and other off grid solutions to support the Federal Government’s policy of incremental growth. According to a joint statement in Abuja, the agreement by the REA and RMI would be kicked off by a three-day mini-grid charrette that would bring together leading global stakeholders and investors to create a roadmap for improved electricity supply that is both actionable and scalable. To achieve the aim of cutting the cost of mini-grid- delivered electricity, the companies said the project would focus on addressing issues such as system costs, demand stimulation and enabling policy. They noted that the project, which is a multibillion-dollar revenue opportunity, would create sustainable energy for hundreds of millions of people and would also combine the power of global supply chains with local market entrepreneurs and communities. Speaking in the same vein, Nick Steel, Senior Associate, Media Relations of RMI, stated that high-potential markets and specific mini-grid sites in Nigeria would be used to pilot the recommendations from the charrette projects. Steele also stated that RMI’s Sustainable Energy for Economic Development (SEED) program had worked in sub-Saharan Africa since 2016, adding that SEED provides impartial technical, policy and financial advice on energy system development, and collaboration with government, development partners and the private sector to ensure successful implementation of its recommendations. 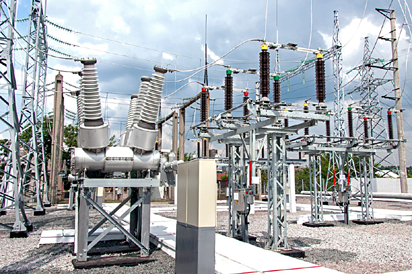 The post FG, RMI to cut cost of electricity delivery by 60% appeared first on Vanguard News.